MAYO, Fl. 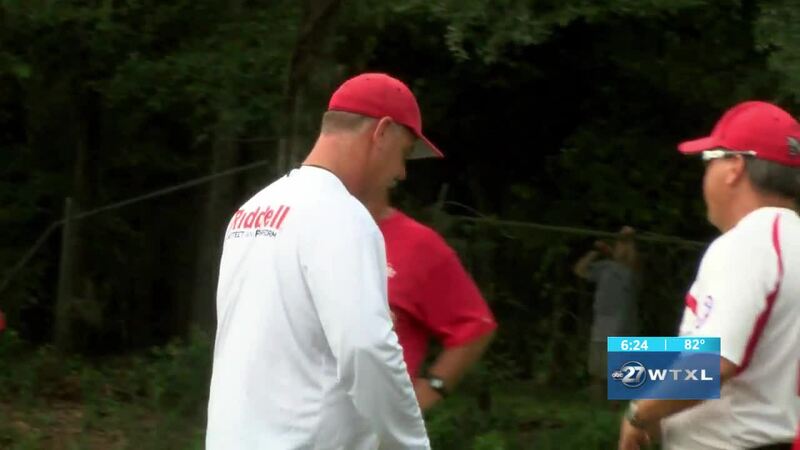 (WTXL) - After two decades at the helm of the Lafayette football team, head coach Joey Pearson announced Thursday that he is passing on the torch. Pearson said he has been contemplating stepping down for a while, and added there's never a great time to leave, but with the players and coaches the Hornets have on the roster, he feels comfortable turning over the reins. "It's going to be totally different. Right now, going into spring and summer, it's a relief and excitement about doing other things," he said. "Obviously when it gets cool and the lights come on, I'm sure I'll have little bit different feelings. I'll still watch the Hornets play, and then I'm a Mayo uy. I'll still be around supporting the team doing what I can do to help them." Pearson added he will remain in the school district as an administrator. As far as a new head coach for the Hornets? Pearson said he expects a quick turnaround in naming one.